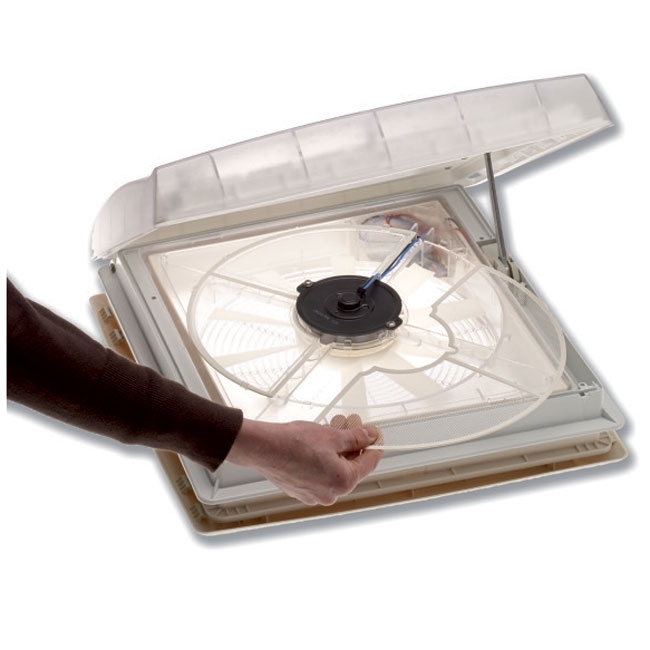 This rooflight is a great way to bring more light and fresh air into your campervan and comes with a 30cm 3-speed fan. Suits the standard roof cut out of 400x400mm and a roof thickness of between 25 and 60mm. This ensures the most light to the interior of your van. Made from UV-resistant polycarbonate this sturdy and robust material it is double glazed and aerodynamic so there is no need for an extra spoiler. It is easy to install and comes complete with a blind and removable flyscreen. Maximum power consumption is just 5 amps.